Are you tired of using the default iPhone keyboard. Do you feel unsatisfied with the features of the keyboard? Or you feel you can make the keyboard better if given the opportunity? Then this post is for you. In this post I have shared iKeywi 3 app that lets you customize keyboard for iOS 9 using Cydia. The app can be downloaded from Cydia. Unlike HandyKey Cydia app that lets you change iPhone keyboard size iKeywi 3 allows you to add fifth row in iPhone iOS 9 keyboard. Moreover, it also allows you to change the keys, layout, design and fully customize the iPhone keyboard according to your choice. Below I have discussed some unique features of iKeywi 3 and how to download it from Cydia. If you are not satisfies with iPhone's default keyboard then you must definitely give iKeyWi 3 a try. Also see - Change icon size in iOS 9.
iKeywi 3 is a popular cracked app available on Cydia that allows you to customize default iPhone keyboard as per your wish. iKeyWi 3 is the latest version and is compatible with iOS 8 and iOS 9. Earlier iKeyWi 2 for iOS 7 was released. Do note that iKeyWi 2 and iKeyWi 3 are compatible only with iPhones. To customize keyboard on iPad you need to download iKeyWi HD for iPad. It also provides the exact same features but is for iPads only. 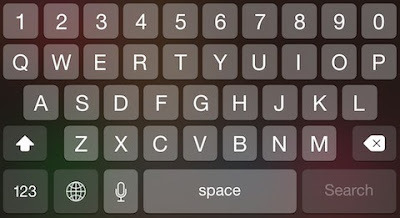 Using iKeyWi 3 you can add fifth row to your iPhone keyboard. The fifth row contains numbers, commonly used punctuations, symbols and shift tab. In deafult keyboard to get access to digits you first have to tap on "123" and then select the digits but using iKeyWi 3 you can get instant access to digits and commonly used symbols. iKeyWi 3 lets you choose your own keys. 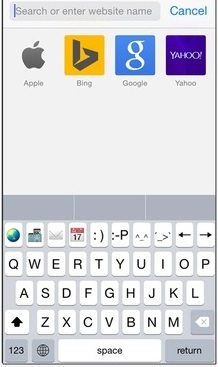 Customize the whole iPhone keyboard as per your use. Just go to the "Settings" option of iKeyWi and choose "Customizing Keys". You can have any character, key or even a emoticon from all those smileys. You can also change the layout of the keyboard. iKeyWi 3 allows you to change the height of the keyboard and set the size so that your iPhone screen looks less cramped and all the keyboard keys are clearly visible. Also see - iOS 9 control center Cydia tweaks. 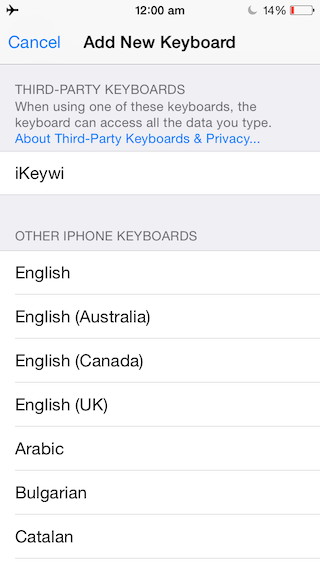 Step 2 - In the search box, enter "iKeyWi 3 for iPhone". Tap on "iKeyWi 3" in the search result. Step 3 - Tap the install button and install iKeyWi 3 on your iPhone. 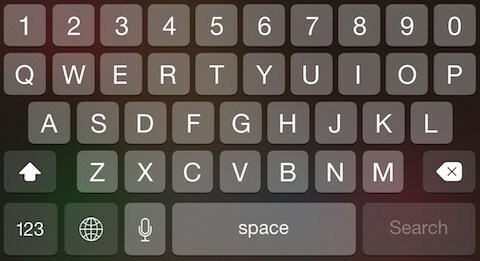 So this is all you have to do to customize keyboard for iOS 9. 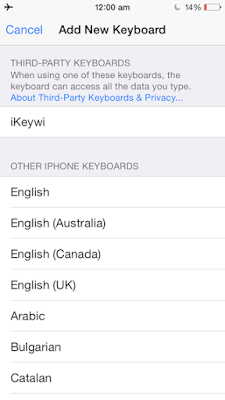 Once iKeyWi 3 is successfully installed on your iPhone iOS 9 you can go to settings option and customize the default iPhone keyboard as per your use. Enjoy texting with your new awesome keyboard and do comment for any issue.